In the bowl of a stand mixer fitted with a dough hook, stir the yeast into water to soften. Add the milk, eggs, pumpkin, butter, sugar, salt, spices and 4 cups of flour to the yeast mixture. Knead on on low until everything is combined. Gradually add the remaining flour, a little at a time, until you have a dough stiff enough to knead. Increase speed to medium and knead until you have a smooth elastic dough, about 5-7 minutes. Put dough into a lightly oil bowl sprayed with non-stick spray. Cover with a sheet of plastic wrap and let rise until doubled, about 1 hour. Turn dough onto a lightly floured work surface. divide dough in half. Shape into and place in well-greased 9x5-inch pans or, shape half into a loaf, and other into 12 large dinner rolls. Cover with a towel and let rise until almost doubled, about 1 hour or until the bread has risen 1-inch over the rim of the baking pan. Bake in a preheated 375ºF. Loaves bake about 30-35 minutes, rolls about 20-25 minutes. 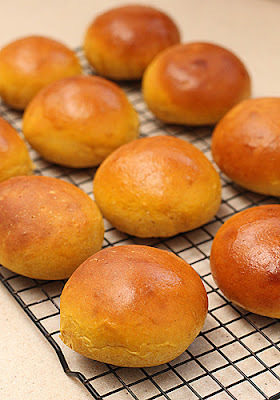 Immediately remove bread or rolls from pans and cool on a wire rack. For an extra touch brush the top of the loaves with melted butter. Enjoy! The rolls look gorgeous! 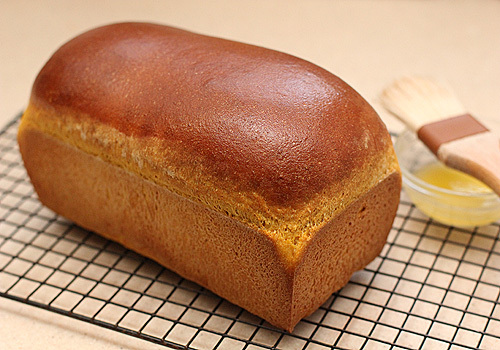 I love anything pumpkin ~ especially when it is carb related like your breads!!! These are going on my "to make very soon" list! I just discovered your blog today, thanks to a link from Brown Eyed Baker. I like your style and your recipes. I had a yeasted pumpkin bread on a cruise earlier this year and it made a great hot ham sandwich! I just added you to my Google Reader. 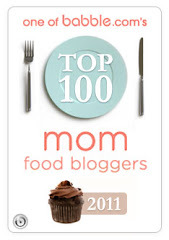 I am so pleased you found my blog:) Thanks for following-- Best! I made your recipe yesterday from fresh pumpkin that I baked and then pureed myself. The dough came out very, very wet... so wet I had to add several extra cups of flour. The only thing I changed was using half whole wheat flour. Have you had this problem? Could using home-made pumpkin puree have caused this? I am not an accomplished bread baker but I would love to try this recipe again. Thank you! Greenbasket- Did you strain your fresh pumpkin purée? Fresh pumpkin purée has more liquid in it than canned. When using fresh, it is important to drain the pulp of excess liquid through a cheese cloth or fine mesh strainer. Check out my homemade pumpkin purée post.